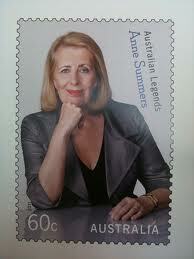 Dr Anne Summers Lecture “Her Rights at Work” shines light on political persecution of Prime Minister Julia Gillard. The Human Rights and Social Justice lectures are not only relevant to Australia but often to the World. This lecture though not a typical Human right topic as mentioned by Dr Summers it will have resonance with all concerned about universal suffrage and the rights of women. I think it is relevant in respect of the struggles of women especially in this centenary year of the Lawrence Textile Strike in which women led and united dozens of immigrant communities. with This post is a follow-up to that I posted 3 days ago “The Political Persecution of Australia’s First Female Prime Minister” Credit for the title goes to Dr Anne Summers. Below I believe is the cover of the original Anne Summers Pelican( published by Penguin) in 1975 an voted one of the top ten books of the past 40 years by The Australian Sociological Association that remained in print for over 33 years! and a more recent cover Published as Penguin. The Leader Julia Gillard of the Australian Government has come under the relentless withering fire of misogynist attack. The relevance to this post today and I will embrace the Greens in this is that if the Tory Liberal Coalition were to be elected the environmental social justice reform, investment in education health and protection of the environment movement will be setback 10, 20 years and the outcome for the Australian Political Landscape catastrophic. From the point of view of the environment much of the hard work regenerating the landscape protection of endangered animals and species of flora will be undone for ever while at the same time the conditions of all working people will be severely reduced. 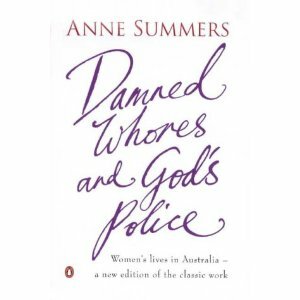 So please watch Anne Summers address that clearly shines light on the Political and COWARDLY persecution of our Prime Minister Gillard and the entire constitutional Office of THE Prime Minister and THE function of the Australian Parliament! Please sit back and take note of this address by Dr Anne Summers who incidental has worked with 2 of our previous Prime Ministers Bob Hawke and Paul Keating. You have the advantage unlike the attendees on the night of the address of being able pause, take note, playback to the important message in this lecture.